Lamadeku Saviour Korku is a Ghanaian developer with First Degree in Computer Science from Kwame Nkrumah University of Science and Technology in 2013. He has been in web applications development and database management for over four years and gained hands-on experience in these fields as he worked on some key real world applications. He can use Structured Query language very well. 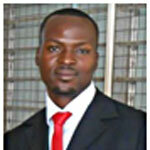 He also has experience in programming languages such us Java, C++, Visual Basic, PHP. He was part of the team that won 4th position in MTN applications challenge in 2013.